True friends are the real jackpot of life. True Friendship is a bond of trust, respect and understanding between the two people. In the worst condition of life, real friends always will be there to help you, to save you and to understand you. A true friend is the blessing of God and true friendship is a priceless possession of life. So today, just be friends and recall the good memories with your true buddies. Quote 1 : We are all travellers in the desert of life and the best we can find in our journey is an honest friend. Quote 2 : Don't walk behind me; I may not lead. Don't walk in front of me; I may not follow. Just walk behind me and be my friend. Quote 3 : If you have crazy friends, you have everything. Quote 4 : A friend can tell you things, you don't want to tell yourself . Quote 5 : The best time to make friends is before you need them. Quote 6 : A journey is best measured in friends, rather than miles . Quote 7 : Friendship is always a sweet responsibility, never an opportunity . Quote 8 : The language of friendship is not words but meanings. Quote 9 : True friendhip comes when the silence between two people is comfortable. Quote 10 : A friend is one that knows you as you are, understands where you have been, accepts what you have become, and still, gently allows you to grow. Quote 11 : A friend is someone who knows all about you and still loves you. Quote 12 : My best friend is the one who brings out the best in me. Quote 13 : Friendship is the hardest thing in the world to explain. It's not something you learn in school. But if you haven't learned the meaning of friendship, you really haven't learned anything . Quote 14 : Friends are the family you choose. Quote 15 : No person is your friend who demands your silence, or denied your right to grow. Quote 16 : Walking with a friend in the dark is better than walking alone in the light. Quote 17 : A friend is someone who gives you total freedom to be yourself. Quote 18 : A real friend is one who walks in when the rest of the world walks out. Quote 19 : True friendship multiplies the good in life and divides its evils. Strive to have friends, for life without friends is like life on a desert isalnd---to find one real friend in a lifetime is good fortune; to keep him is a blessing. Quote 20 : A friend is a gift you give yourself. Quote 21 : A friend is one who has the same enemies as you have. 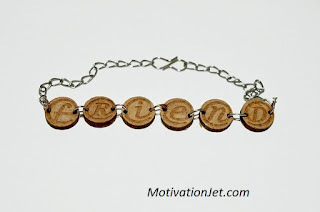 Quote 22 : What is a friend? I will tell you--it is someone with whom you dare to be yourself. Quote 23 : Friends show their love in times of trouble, not in happiness . Quote 24 : There is nothing on this earth more to be prized than true friendship. Quote 25 : Friendship is one mind in two bodies. Quote 26 : A friendship founded on business is better than a business founded on friendship. Quote 27 : Real friendship, like real poetry, is extremely rare-and precious as a pearl . Quote 28 : Friendship is the source of the greatest pleasures, and without friends even the most agreeable pursuits become tedious . Quote 29 : The greatest sweetener of human life is friendship. To raise this to the highest pitch of enjoyment, is a secret which but few discover. Quote 30 : Friendship is love without his wings!. Quote 31 : Friendship is born at that moment when one man says to another:What!You too? I thought that no one but myself.... .
Quote 32 : A true friend, advises justly, assists readily, adventures boldly, takes all patiently, defends courageously, and continues a friend unchangeably. Quote 33 : I value the friend who for me finds time on his calendar, but I cherish the friend who for me does not consult his calendar. Quote 34 : I don't need a friend who changes when I change and who nod when I nod; my shadow does that much better. Quote 35 : True friends stab you in the front . Quote 36 : Friends are born, not made . Quote 37 : Truly great friends are hard to find, difficult to leave, and impossible to forget. Quote 38 : True friends are like diamonds bright, beautiful, valuable, and always in style. Quote 39 : A strong friendship doesn't need daily conversation or being together. As long as the relationship lives in the heart, true friends never part. Quote 40 : If you wanna find out who's a true friend, screw up or go through a challenging time and then see who sticks around. Quote 41 : The only way to have a friend is to be one. Quote 42 : Friends are medicine for a wounded heart, and vitamins for a hopeful soul. Quote 43 : A friend is someone who understands your past, believes in your future and accepts you just the way you are. Quote 44 : A loyal friend laughs at your jokes when they're not so good, and sympathizes with your problems when they're not so bad. Quote 45 : Friends are those rare people who ask how we are and then wait to hear the answer. Quote 46 : If a friend is in trouble, don't annoy him by asking if there is anything you can do. Think up something appropriate and do it. Quote 47 : Some people go to priests; others to poetry; I to my friends. Quote 48 : Friends are the siblings God never gave us. Quote 49 : A friend who understands your tears is much more valuable than a lot of friends who only know your smile. Quote 50 : The greatest gift of life is friendship, and I have received it. Quote 51 : A true friend is one who overlooks your failures and tolerates your success. Quote 52 : A friend is what the heart needs all the time. Quote 53 : A true friend is someone who is there for you when he would rather be anywhere else. Quote 54 : Wishing to be friends is quick work, but friendship is a slow ripening fruit. Quote 55 : True friendship can afford true knowledge. It does not depend on darkness and ignorance. So friends, enjoy your life with true friends and share these friendship quotes on Facebook and WhatsApp with your friends.